Use kitchen tongs when cooking the noodles so that they are easy to handle. 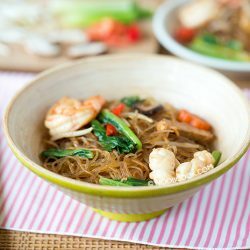 If you are cooking for more, adjust the ingredients and seasonings accordingly; for example: 50 grams of rice vermicelli per person. 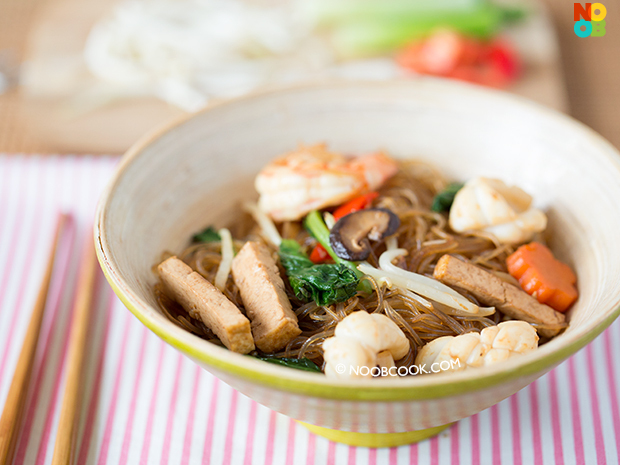 Soak the mung bean noodles in a bowl of water for about 10 minutes, until the noodles are softened. Drain and set aside. Heat oil in wok, add shallots, garlic and chilli. Stir fry until the shallots start to soften. Stir fry carrots for about a minute. 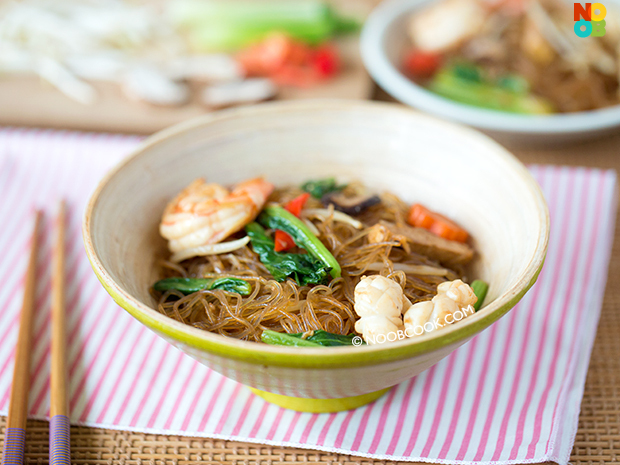 Then add mushrooms, prawns, squid, chye sim stems, bean sprouts, tau kwa and (A). Bring to a gentle simmer. Add the softened mung bean noodles and chye sim leaves. Cook until the noodles have soaked up all the water and is of a dry consistency.